But people as creative as Coste don’t function in the same manner that normal people function; they do things differently. This alternative way of operating may not seem to be the most professional by regular standards, but Coste is one of the most creative and talented photographers out there, so it’s best to let him work the way that he wants to work. It may seem like Coste is some sort of vagabond living out of his van, but he makes his permanent home in Paris. His home, known by his friends as Le Cherry Palace, is where Coste spends time with his family. France is where Coste grew up, and where his lifelong love for motorcycles began. Motorcycles have been a part of Coste’s life since his days in elementary school (or l’école matternelle, as it is known in France). At the time, his father, Didier, was working at French motorcycle and BMX publications such as Moto-Verte and Bicross. Coste was thrown headfirst into two-wheel culture, and he loved it. It was then, too, that his passion for photography sprouted from his love of moto. Like most in the motorcycle industry, Didier Coste wasn’t working at the magazines for a simple paycheck. He went to work each day because he had a passion for the sport, a passion that consumed him. It was a passion that stuck with him beyond the nine-to-five life and into the weekends: on any Sunday, one could find Monsieur Coste at the racetrack, and every chance he got, Dimitri and his older brother, Jérôme, were right there alongside him. His father’s all-consuming love for the sport—and, more importantly, his job—left an impression on Coste that helped mold his personality into what it is today. 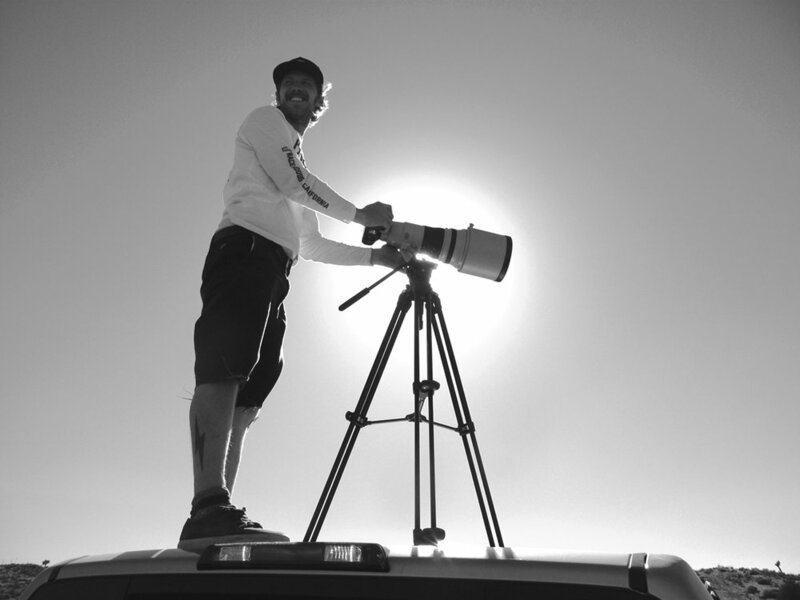 “Seeing [my father] enjoying being a journalist—traveling, riding, and covering great races like the Paris-Dakar—indirectly taught me that you can enjoy working and find a good balance between work and pleasure, and make work a pleasure,” he says. 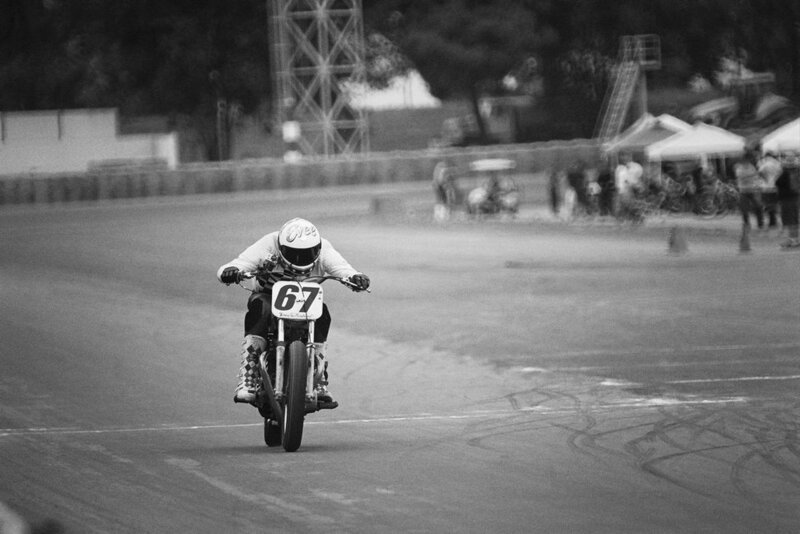 Growing up alongside an artistic older brother, Coste tapped into his own creative side and began taking photos during downtime at the motorcycle races. Understanding the art of racing a motorcycle, and having the tools to communicate that understanding, put Coste in a unique position. His work has since transcended far beyond motorcycling. As an influential creative talent, he’s teamed up with other notable tastemakers for numerous collaborations. His portfolio extends even further into the high-fashion industry and he’s filmed and edited some of the top music videos in France. But his true passion, along with photography, remains motorcycling. Any time he can tie together opportunities to do both, he’ll jump at the chance. 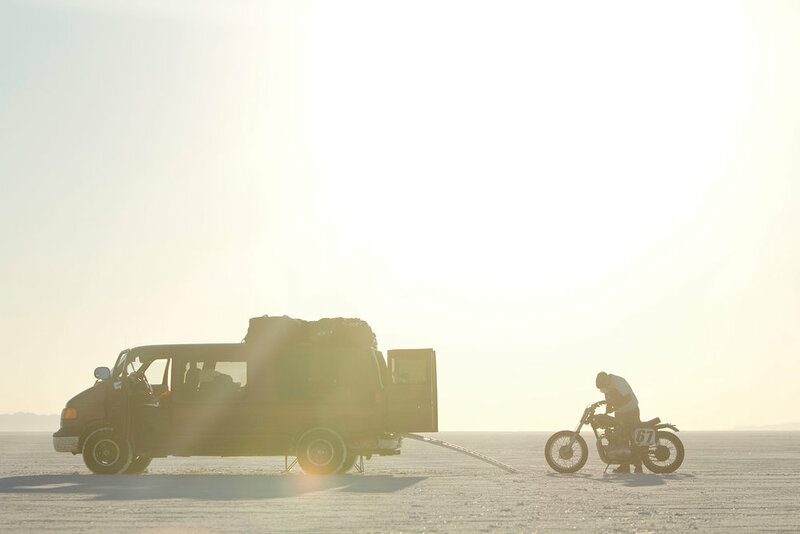 The One Size Fits All (OSFA) project is a way for Coste to bridge the gap and bring his passions for motorcycles, photography, and design into one collective space. It’s a personal mission that he has sunk his heart and soul into, his own version of a race around the world. When the famous Catalina Grand Prix was revived in 2010, Coste quickly signed up and arranged to have his 1967 Triumph TR6C shipped over from France so he could race. Coste won his class at Catalina and followed that up by finishing the infamous Pikes Peak Hill Climb in Colorado as part of his OSFA mission. For a guy like Dimitri Coste, life is about passion and adventure. Jet-setting from one continent to another is just a day in the life for this photographer, shooting during the week so he can race during the weekend. The tattoo emblazoned across his chest says all that he needs to say: “Life is a rodeo.” Yee-haw.